If your businesss is in need of an outstanding project management solution, then you cannot go wrong with Wrike. Loved by clients and widely acclaimed by B2B review sites and critics around the world, Wrike is an amazing, first-rate project management solution that clearly stands out in comparison to other similar solutions available in the market right now. After a thorough review by our panel of B2B experts Wrike emerged as the top product under our project management software category based on its easy to use features, outstanding functionalities, smart capabilities, and quality of their services and customer support, among others. It offers a great free trial feature that allows you to test all the features at no cost. You can easily get Wrike free trial here. A flagship product of an application service firm based in California, Wrike is a web-based solution that will meet the project management and collaboration needs of companies of all. This solution allows you to easily manage and track projects, deadlines, schedules, and other tasks. The tool also allows you to effectively share and collaborate with your teammates. Wrike is available in English as well as nine other languages. It’s used by at least a billion people and sold in 120 countries. Over 8,000 companies around the world use the paid plan, designed to help automate as well as streamline workflow and enable firms to prioritize their most important tasks. Wrike’s users come from diverse backgrounds. Although it is a favorite platform of many Fortune 500 firms with global reach (such as Google and McDonalds), Wrike is also a preferred choice of a wide range of small and medium companies, charities and non-profits throughout the world. Our experts have also prepared a detailed review of Wrike discussing all its features and benefits. You can also check out our analysis of top project management solutions of 2019. In this article, we take you on an in-depth Wrike tour. You may wonder: what makes Wrike a top project management solution, and why is the tool so much loved and acclaimed by users, critics, and reviewers alike? 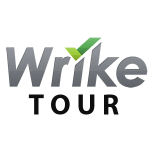 Below is a tour of Wrike’s key features that make it stand out from of the competition. Wrike allows you to @mention your teammate’s for a project to get the job done easily and the tagged or mentioned teammates can see your message instantly in their workspace. What if you need to share a task or message with a client or consultant for feedback? Wrike also allows you to communicate and share tasks and comments with people who are working outside your company. Word, Google Drive, Excel. These are just some of the top applications Wrike integrates with. The tool pretty much integrates with all most popular B2B applications, letting you use all the business tools you need in one place. Wrike is arguably the only project solution that can ensure your important stuff will never get lost in your email inbox. With just a single click, you can transform emails into tasks and send them back to Wrike for action. Wrike was created primarily for collaboration to help teams perform at their very best. With Wrike, every team member can be on the same page, even if someone missed a meeting or an important update. Wrike allows you to create customizable views of your company’s most important projects that include tasks’ statuses, real-time updates, and graphs. You can share these customizable views with the people who are involved in the projects to make sure everyone is updated. 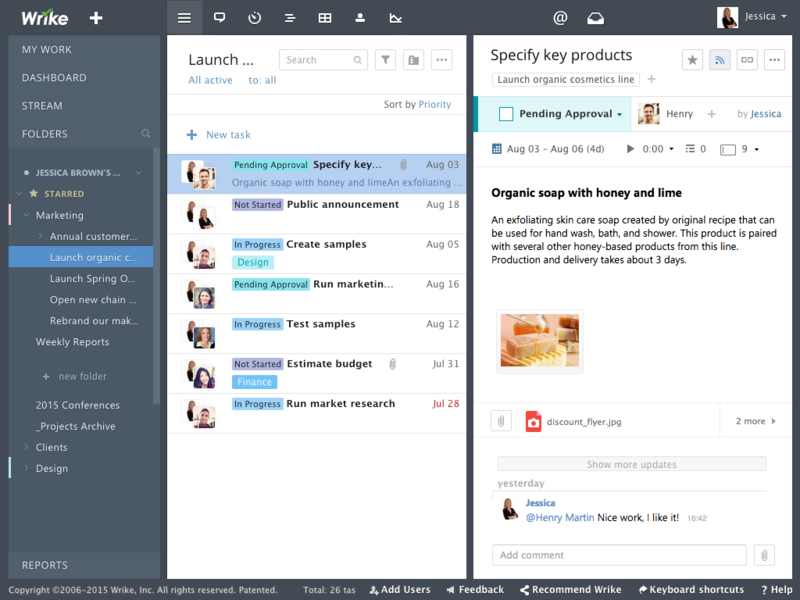 Newsfeed updates on your company’s project activity provide everyone with instant status reports, cutting the meetings as well as email communication in half to allow you and everyone to focus on the important stuff. With Wrike, you can also keep the teamwork flowing even when you or your team members are not in the office or taking a break. You can update tasks and get feedback with the tool’s Android and native iOS apps. You can use the tool to collaboratively edit and you can see the changes made by everyone in real-time. Wrike allows you to freely edit documents without saving or downloading attachments to your computer. Thus, there is no need for you to email another update of a document ever again. With Wrike, you can make sure your projects will remain on track, as well as assure that your company has the resources needed to finish each project on time and within your budget limits. Wrike allows you to keep the right team members in the loop. You can create custom user groups, selectively share files, and grant the appropriate level of access controls, to ensure the right employees will get the information and data they will need to be effective. Using Wrike will also grant you full control over your work. The tool’s My Work panel is a user’s personal place to manage his or her individual work. My Work consolidates your to-do tasks from all your projects. It also allows you to quickly manage your regular work by dragging all your tasks to today, the current week, the next, or even later. You can create custom workflows with Wrike to streamline your work and gain insight into the progress at every stage. You can also tweak your workflows to match how your team works exactly. These customized workflows, which are simple to use and easy to implement, are ideal for prioritization, budgeting, and customized work status. You can use relevant data from custom fields to set up dashboards with the information most crucial to your business. Wrike allows you to balance resources and monitor performance too. The tool’s open view of team workloads enables you to recalibrate whenever necessary. In addition, you can keep track of the time spent by a team member on a project for a more accurate planning and budget management. You can also synchronize tasks and project milestones to virtually any calendar including Outlook Calendar, iCalendar, and Google Calendar with the help of Wrike. You can learn more about other advantages of their services in our Wrike reviews section. Wrike has three great packages created to match the various specifications and needs of organizations, businesses, and independent professionals. The free plan is a great starting point if you want to test all Wrike features before you decide if the tool will work for your business. If you have a small team it’s quite possible you can use Wrike comfortably with this plan with no costs whatsoever. You can easily get Wrike free trial here and try it out on your own. Excel, iCal, MS Project, and RSS integrations.  Price for this plan mainly depends on the number of users who will use Wrike, so there is no definite figure. Additional features that come with this Enterprise plan include storage capacities that start from 100GB and special functions such as Progress Reports, Extended Security controls, Custom Calendars, and more. When you need a reliable project management software you should definitely try Wrike. Our detailed Wrike tour shows that not only is it a great tool recommended by B2B and SaaS experts, but it also offers a great free trial plan that allows you to test the solution for yourself with no costs involved. You can easily get Wrike free trial here.